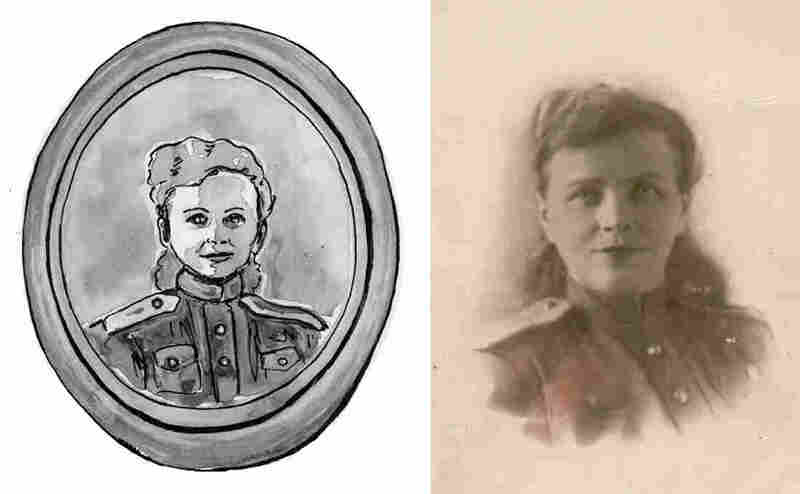 'Soviet Daughter': How A Great-Grandmother's Diary Became A Graphic Novel After her beloved great-grandmother's death, author Julia Alekseyeva discovered her memoirs, bursting with rich details of her life in the USSR enduring wars, pogroms, and purges. Author Julia Alekseyeva's great-grandmother was left to care for daughter Tonya when her first husband was drafted into the Russian army in 1932. Author Julia Alekseyeva's great-grandmother Lola lived to be 100 years old, long enough to see the birth, and eventual collapse, of the USSR. In 1992, she and her family — including young Julia — moved from Kiev to Chicago. Unbeknownst to her family, Lola began to write her memoirs, recording the stories of her life as a Jew in the Soviet Union, filled with vivid details and enlivened by a strong, independent spirit. 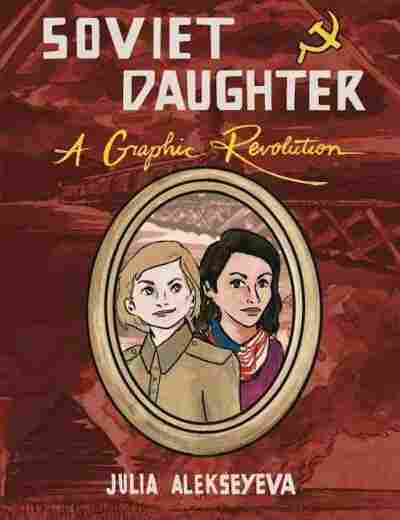 Upon Lola's death, Julia discovered her great-grandmother's memoirs, and has now transformed them into her debut graphic novel, Soviet Daughter. NPR's Lulu Garcia-Navarro talks with Alekseyeva about what the process of creating the book revealed to her about her great-grandmother's life. My family emigrated from what had just become Ukraine in 1992, and she slowly started writing certain things in a notebook and sort of keeping them hidden from everyone. And to a couple of people she had said, "Oh, I'm writing memoirs," but no one really took it seriously. Then after she died it was discovered and she had actually written a little note in the beginning, "Do not read this until my death." And so my grandmother and I read it, and I just thought it was completely extraordinary, because it had so many details from the [Russian] Revolution through the Civil War and then World War II and then the thaw — all of that was completely there, in writing. So I thought it would make such a great work to be able to show this to other people, and for them to understand what was really happening in the USSR through one person's perspective. 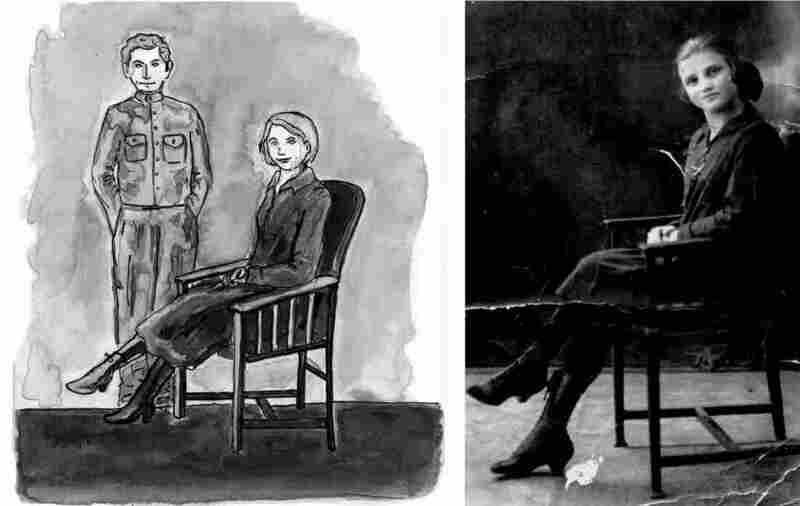 In 1943, Lola helped nurse a wounded Russian soldier named Victor back to health. They enjoyed a brief romance; she was twice his age. On her great-grandmother being a "wild child"
Something that was, I think, kept from me as I was growing up was the extent to which she was kind of a wild child ... and would go out on dates and have all these affairs and then just drop them — be like, "Oh, not interested anymore, sorry." Which was not something that was praised in my family. I was left alone with her a lot as a young child when we first emigrated to the United States. My mother was trying to find work, and my grandparents were trying to help out in other ways and trying to help my mother, so I was pretty much left with Lola by myself for the bulk of my early childhood. We played games, she taught me a lot, we talked and we just bonded and stayed very close. I think I was one of the few people that she did open up to a little bit, and something I talk about in the [book] is that when I was 20, I had this little janitorial sort of gig when I would go to her apartment and sort of clean it and then she would give me tea, and we would chat for a couple of hours. And at that point ... I was going through a breakup, so I thought everything was the most dramatic thing in the entire world. So [listening to her stories] gave me an interesting perspective. In 1927 Lola (front row, middle) joined a Prof-Soyuz (a kind of Communist leisure organization) at the Kiev stamp-making factory in which she worked. On why her family emigrated to the U.S.
Something that I had always assumed — and what was on the official paperwork — was that we were refugees due to being Jewish and ... anti-Semitism in the former USSR. I was born two years later ... I was not sick as a child, but I found out that I had thyroid cancer as a senior in college and got treated, and it's fine now but I think this happens to a lot of people that were emigrating from the USSR at that moment. In 1925, at age 15, Lola married her first husband, Mitia. In her memoirs, she described their union as "entirely utilitarian." My great-grandmother was a very, very bright person but she was not educated in the classical sense of the term. ... [In her memoirs] there were a lot of run-on sentences, some words that were a little too casual ... and if I just translated directly from Russian to English you would lose that kind of aura. Also [by using the comics medium], people could actually visualize what was happening in this book, because I think it's hard for a lot of people who didn't grow up with the same imagery to really understand what these people were, what was going on in those regions — the uniforms, the parks. The idea of just Soviet living is so far, far removed from what most Americans expect. In 1950, Lola worked as a typist at the NKVD (the precursor to the KGB) and held the rank of Lieutenant in the Red Army.